What is a Lumbar Hernia? The herniation of the L5 disc is among the most common of spinal issues. 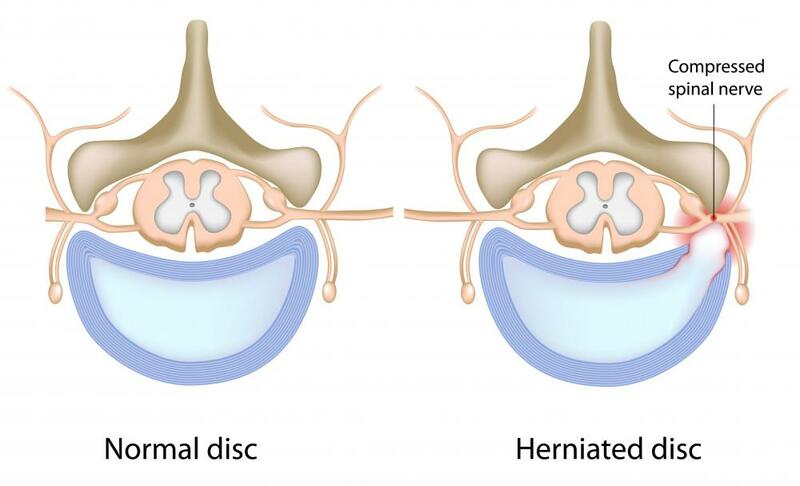 Disc herniations are most common in the lumbar spine. A lumbar hernia occurs when the degeneration of a disc in the lumbar spine causes the inner core of the disc to leak out of its shell. Disc degeneration occurs in everyone. Over time, normal use of the spine weakens the outer shell of the spinal discs. Injuries and strain can add to the degeneration. When the disc shell can no longer hold the inner contents of the disc, a hernia is the result. A hernia can occur in any region of the spinal cord. The lumbar hernia specifically describes disc herniation of the lumbar spine. The lumbar region is in the lower curve of the back. This is the most common area of the spine for disc herniations to occur. In fact, the lumbar spine accounts for 90 percent of herniated discs. The weakest point of the spinal discs is just under the spinal nerve root. Nerve tissue is very sensitive and easily agitated. The inner core and sometimes part of the spinal disc can put excess pressure on the nerve. The nerve that is most vulnerable in the lumbar spine is the sciatic nerve. Pressure on the sciatic nerve can lead to sciatica, which is incredibly painful. Sometimes a lumbar hernia can cause weakness in the big toe and ankle. This may occur if the herniated disc causes impingement of the L5 nerve. Pain may travel from the nerve of the lumbar region to the buttocks. Another symptom is numbness and pain on the top of the foot. If the lumbar hernia causes S1 nerve impingement, it can lead to loss of the ankle reflex or general ankle weakness. Some people lose the ability to lift off with their ankle, commonly called toe lifts. Pain from this type of nerve impingement can travel all the way down the leg to the sole or outside of the foot. In some cases, a lumbar hernia will heal on its own. Unfortunately, this can be a slow and painful process. Herniated discs take about six weeks to heal if they heal at all. Physical therapy, anti-inflammatory drugs, and steroids can all be used to ease pain and hurry the recovery process. 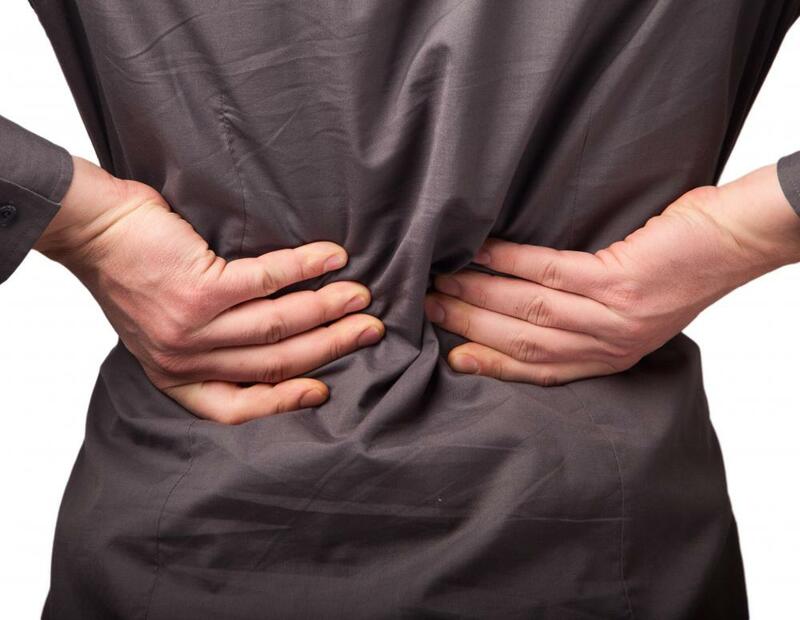 Surgery may be required to relieve lumbar hernia pain. If the symptoms persist for more than six weeks, this indicates that the disc is not healing on its own and requires intervention. The surgery is called a microdiscectomy and is usually done in an outpatient setting. The surgeon will remove anything that is still putting pressure on the nerve root to create a better healing environment. Recovery from this surgery can take from one to three weeks. How Do I Treat Lumbosacral Strain? What Is the Lumbar Fascia? How Long will Microdiscectomy Recovery Take? What is a Morgagni Hernia? What is a Paraumbilical Hernia? What is a Double Hernia? Weight is another cause of pressure on the spinal discs. Some people develop hernias simply because they are overweight. @donasmrs-- That sounds awful. I hope you get better soon. I too have a lumbar hernia and I know how debilitating it can be. I guess I'm lucky because I haven't had a recurrence of symptoms for many years now. But I went to physical therapy and I've been doing back exercises to strengthen my back muscles regularly. Have you had physical therapy? Recovering from a lumbar hernia can be a long process. If you work on your back muscles (when you have healed and are pain free of course), you can prevent symptoms from coming back. You will also be reducing your chances of developing a second hernia. back muscles are weak, every time we move our body in a wrong way or when we lift and carry heavy things, pressure is put on the spinal discs. This pressure eventually causes them to crack. If we strengthen these muscles, they can take the pressure instead of our spinal discs. I have a lumbar hernia and recurring symptoms once or twice a year. I'm almost wishing for surgery because I don't want to deal with it anymore. My hernia is in L4-L5 and sometimes puts pressure on the sciatic nerve. I recently had a back spasm where this pressure increased. I currently have numbness and tingling below my hip. It's affecting my buttocks, both legs and both feet. My left leg is worse than my right, I feel like I have lost control of it. I can walk, but I'm basically limping because I get my strength from my right leg. My doctor gave me medications and an appointment for an EMG (electromyogram) in two weeks. They're going to check the health of my nerves.